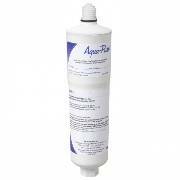 The 3M Cuno Aqua-Pure AP430SS is a Scale Inhibiting Filter that does not use Sodium. It installs before your hot water heater, coffee maker, water ionizer, dishwasher, shower heads or other scale collecting appliances. 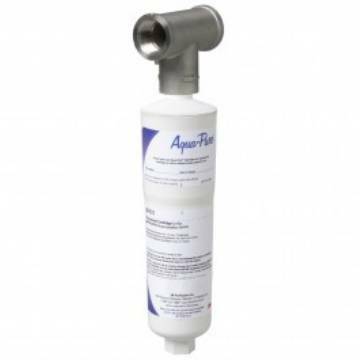 The AP430SS filter doesn’t remove hardness; the system binds calcium and magnesium hardness minerals, preventing them from precipitating out of solution and building up on metallic surfaces which helps prevent piping systems from corrosion and inhibits scale build up in hot water heaters & water using appliances. Scale buildup is generally more prominent when heat sources are involved. The Aqua-Pure AP430SS scale stopper system features a stainless steel fitting and a consistent dose of Siliphos. The AP431 does not use Sodium, but Siliphos which is a 100% pure food grade scale inhibitor approved by the USDA. HIGHLY, HIGHLY AND HIGHLY RECOMMEND. From Bert of North Wales, Pennsylvania on 11/2/2015 . I bought this product from Healthnut Samson A&B Health Wholesale. I needed this filter fast as I was installing a Tankless Hot Water Heater. It arrived in two days. I inquired other sources but was told it would take approx. two weeks to arrive. I couldn't be happier with the service and professionalism of the company. I would absolutely recommend this company. I couldn't be happier!!! 6/11/2015 – will it help to improve the lathering of soap and protect skin and cloths from hardness issues?